As far as her research is concerned, Cutiongco-de la Paz is quick to laud the contributions of her collaborators over her own. The clinical geneticist and current executive director of the National Institutes of Health (NIH) has certainly published on a broad range of subjects, from the genes implicated in rare diseases to our population’s genetic diversity. When asked, she tends to downplay her role in each of them. “None of these is just about me,” she says. There is, however, one topic that she talks about with pride. And that is her passion as a clinician-scientist. Having fuelled a career that earned her an award for “sustained contributions in the field of genetics,” this passion involves using her knowledge of genes to provide accurate diagnoses of illnesses to families and managing their multidisciplinary care. This passion, which describes the field of clinical genetics in a nutshell, has shaped her character as a scholar, a teacher, and, most importantly, a healer. Getting to this point was a journey that took Cutiongco-de la Paz nearly around the world. 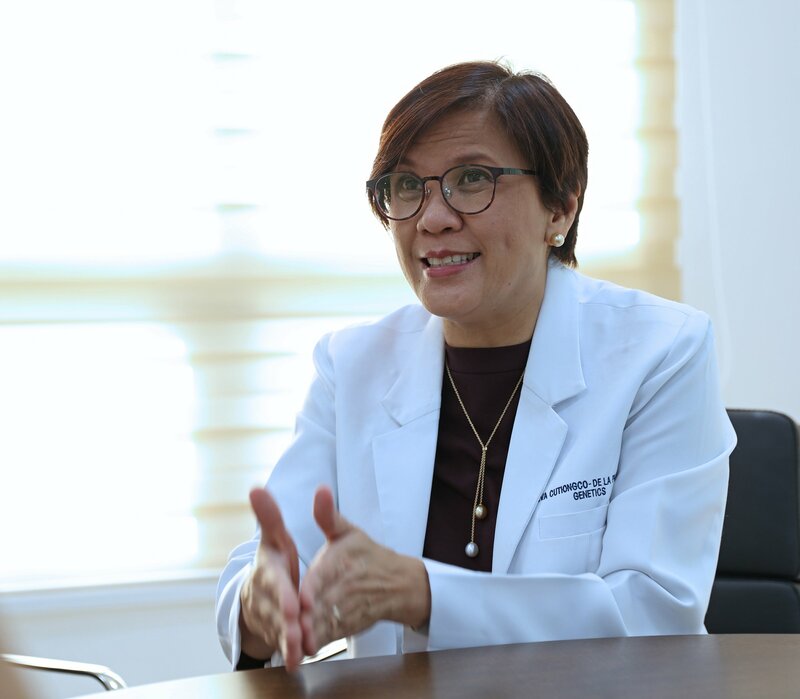 After surviving disasters abroad and receiving genetics training from some of the world’s top institutions, the pediatrician by training hopes that what she learned can now be used to help Filipinos and their families live healthier, more dignified lives. 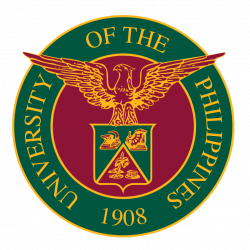 Graduating from the UP College of Medicine in 1989 was something Cutiongco-de la Paz thought would necessarily lead to a conventional career as a physician. An invitation to avail of a research fellowship at Kobe University’s Graduate School of Medicine in 1995, however, would change these plans forever. While there, she had the opportunity to study a condition called Duchenne Muscular Dystrophy (DMD) in great depth. The disease is associated with a mutation in a gene on the X-chromosome and is mostly found in males. This mutation causes abnormalities in a protein called dystrophin in our muscles that makes them fragile and easily damaged. Afflicted children typically fall over and become wheelchair-bound. Since the heart and diaphragm consist themselves of muscle, those who fail to manage the illness typically die before age 30. 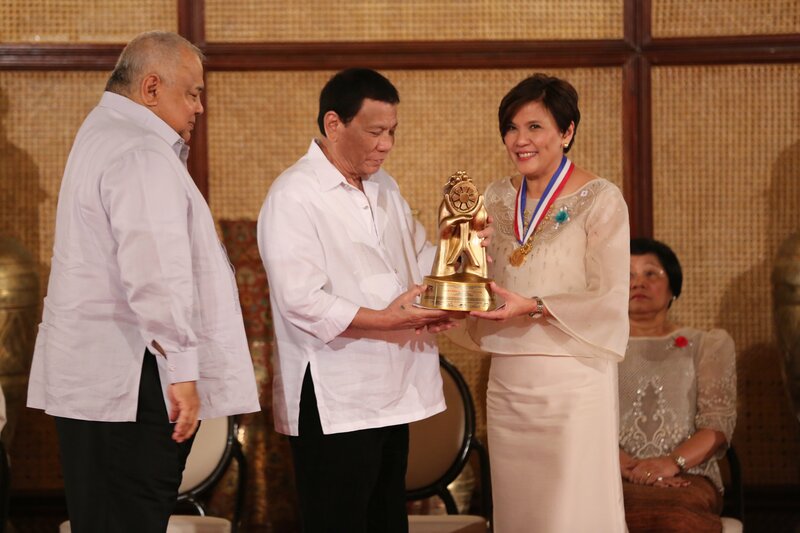 Dr. Cutiongco-de la Paz is conferred the Dangal ng Bayan Award by President Rodrigo Roa Duterte. Although her stint in Kobe University introduced her to how deeply human genetics can influence a patient’s well-being, it was cut short unexpectedly by the Great Hanshin Earthquake—Japan’s second strongest in the 20th century. This coming before the age of social media, her survival was confirmed only after a nail-biting wait. “My mother couldn’t eat for a few days, because she didn’t know if I was alive or dead,” she recalled. She decided instead on coming home, to develop her knowledge elsewhere. Cutiongco-de la Paz was accepted soon after for a fellowship in clinical genetics at the Hospital for Sick Children in Toronto, Canada. She said her initial plan was to study the genetics of infectious diseases, which seemed logical given the country’s needs. But it was in this hospital that she got fully exposed to the grim consequences of what she called dysmorphology—the study of congenital anomalies, more commonly known as birth defects. Upon finishing her fellowship, Cutiongco-de la Paz came home and joined UP Manila Chancellor Carmencita Padilla, a geneticist herself, who actually served as her inspiration to get into the field of Genetics, in setting up comprehensive genetic services needed by the country. Together, they established a Clinical Genetics Fellowship Training Program at the PGH. This is the first and only one of its kind, teaching and training program in the subspecialty of Genetics in the country. The program is designed to provide the knowledge, understanding and skills required for the competent evaluation, management, genetic education and counseling of patients with genetic disorders and their families. 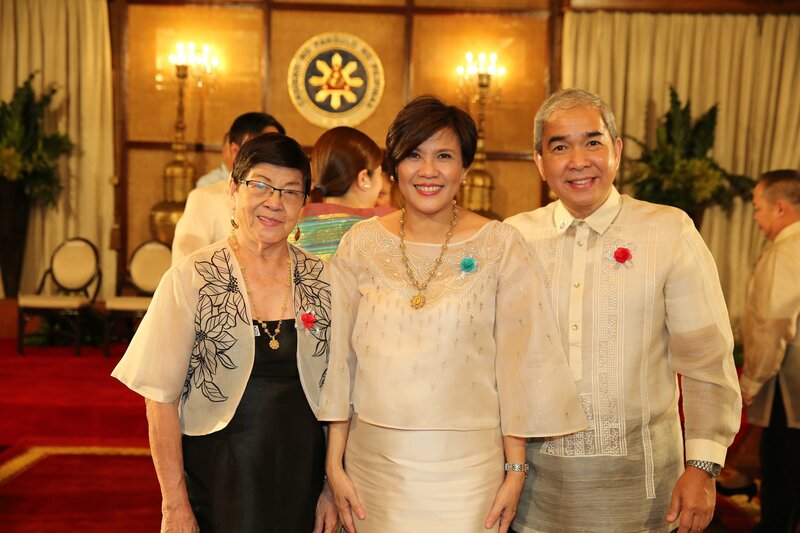 Dr. Cutiongco-de la Paz (center) at the Malacañang Palace to receive her award. “And what we did, because Dr. Padilla was trained in Australia and I trained in Canada, was to put our training programs together to get the best of both”. They began opening the program to physicians willing to be trained in different clinical genetics sub-areas, from the laboratory to the counseling room. To date, they have graduated twelve clinical geneticists, with four more in training. Around the same time, she made it a point to do research on more complicated illnesses that more commonly afflict Filipinos. Together with colleagues like Dr. Rey Garcia of the National Institute of Molecular Biology and Biotechnology, UP Diliman, they set out mapping genes and mutations in the population associated with colon cancer. A poignant condition highlighting our specificity is that of X-linked Dystonia Parkinsonism (XDP), locally known as lubag. This condition is, like DMD, caused by a mutation in a single gene in the X chromosome, and causes involuntary muscle contractions, dystonia, later on progressing to Parkinsonism. Dr. Cutiongco-de la Paz provides genetic education, testing and counseling to patients with XDP and their families. She teaches patients and their families about the genetic basis of XDP, counseling them on how it is passed on from one generation to the next, and finding support mechanisms for them to cope better. This year, Cutiongco-de la Paz can make this vision a reality. In addition to being recognized as an exemplary and ethical government employee via the Dangal ng Bayan Award, she also recently received a multi-million grant to set-up a shared genomics core laboratory at UP’s Philippine Genome Center (UP PGC). This next generation sequencing facility establishes a base for her and her colleagues to do more genomics research and provide affordable genetic screening services that tackles the diseases mentioned above and more. 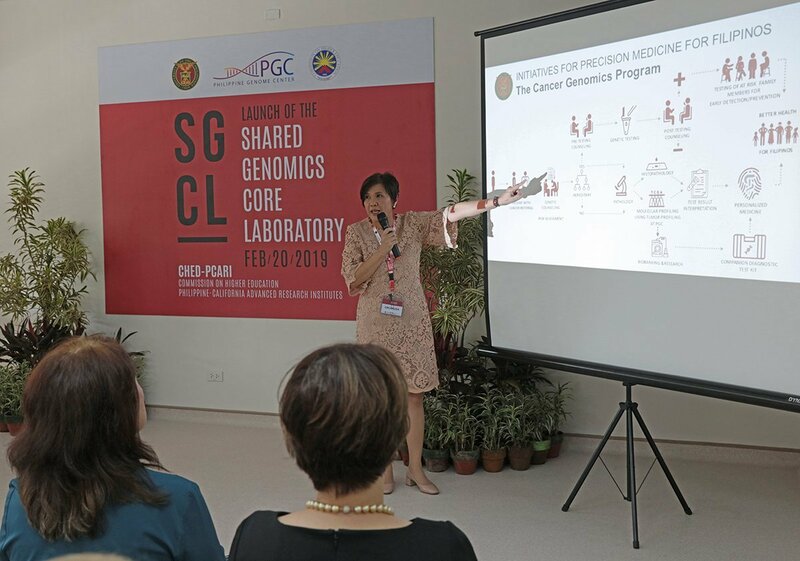 Dr. Cutiongco-de la Paz explains the process of precision medicine at the recent launch of the UP PGC’s Shared Genomics Core Laboratory (SGCL). Photo by Misael Bacani, UP MPRO. This year the Civil Service Commission is already accepting nominations for its Honors Award Program–Lingkod Bayan, Dangal ng Bayan and Pag-asa ng Bayan awards. Deadline is end of March 2019.